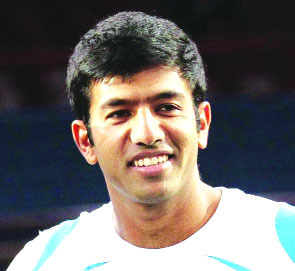 Rohan Bopanna (born 4 March 1980) is an Indian professional tennis player. His singles career high ranking was World No 213 in 2007 and his career high ranking in doubles was World No 3 on 22 July 2013. Recently, most of his appearances in professional tournaments have been in doubles matches. He is a member of the Indian Davis Cup team since 2002. In 2010, he finished as a runner-up in doubles at the US Open, partnering with Aisam-ul-Haq Qureshi. 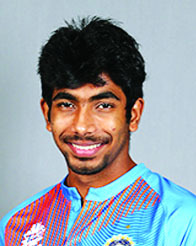 He is currently ranked 10th in the world in the doubles rankings. Bopanna started playing tennis at the age of 11. Bopanna partnered with Qureshi in doubles in 2007. The duo, nicknamed the IndoPak Express, went on to win four Challenger titles in quick succession. However, it was only in the 2010 season that the pair broke into the top 10 doubles teams. That year, they reached the quarter finals at Wimbledon, finished runners-up in the US Open and in five ATP Tour events, and won the Johannesburg Open. Bopanna also played a decisive role in India’s 2010 Davis Cup triumph over Brazil, taking India back to the World Group for the first time since 1998. He distinguished himself as a doubles player at the 2007 Hopman Cup. Bopanna’s first ATP doubles title came in the 2008 Countrywide Classic in Los Angeles with Eric Butorac. For his efforts in bridging political barriers through sports, Rohan Bopanna was nominated in 2010 as a Champion for Peace by Monaco-based organization, Peace and Sport. Recognized globally for their campaign “Stop War Start Tennis”, Bopanna was awarded the renowned Arthur Ashe Humanitarian of the Year award in 2010, along with Qureshi. The duo were also voted winners of the Peace and Sport’s Image of the Year award by their fans. 1. Who lifted 5th Naresh Memorial Cricket Tournament? 2. Name the Powerman of J&K, declared recently by State Sports Power Lifting Association? 3. Name the Indian bowler who took 7 wickets in the opening test match against West Indies, played recently at Antigua? 4. How many medals J&K bagged in National Martial Art Games, held recently at Haridwar in Uttarakhand? 5. Name the Indian wrestler who is currently in news for founding positive in Dope Test? The Best entry of this week was received from Sanjay Dhar of Upper Laxmi Nagar, Sarwal (Jammu). The other entries of the week were from Ashok Sharma of Bishnah, Vikas Kumar of Akhnoor and Ankit Abrol from Ramban.